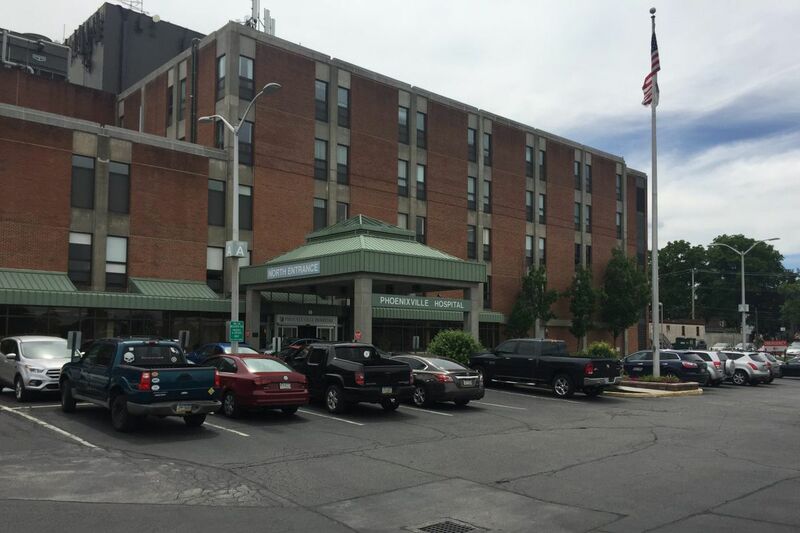 Phoenixville Hospital is one of five hospitals acquired Friday by Tower Health that is no longer in-network for consumers with Independence Blue Cross Health insurance. The others are Brandywine Hospital, Jennersville Hospital, Chestnut Hill Hospital, and Pottstown Memorial Medical Center. Brandywine Hospital, Chestnut Hill Hospital, Jennersville Regional Hospital, Phoenixville Hospital, and Pottstown Memorial Medical Center are now out-of-network for Independence Blue Cross after Reading Health System, the new owner of the facilities, rejected Independence's last offer of a deal before Reading completed its purchase Friday, Independence said Sunday. The disruption for the 120,000 Independence members who use those hospitals is the most significant fallout yet from the University of Pittsburgh Medical Center's push into Southeastern Pennsylvania. UPMC has a joint venture with Reading Health to sell health insurance in Bucks, Chester, and Montgomery Counties. When negotiations between Independence and what is now Tower began two weeks ago, "they made it clear they intended to actively compete with us and other health plans," Anthony V. Coletta, president of facilitated health networks at Independence Blue Cross, said in an interview Sunday. Coletta said Independence wanted a contract with Tower similar to new contracts it has with the University of Pennsylvania Health System, Jefferson Health, and Holy Redeemer Health System. Those contracts emphasize coordinated care and information sharing between the providers and the insurer in a bid to reduce costs and improve quality. But in negotiating with Tower, Independence had the problem of "how to deal with the fact that you're not just a health system, you're also a health plan," Coletta said. That would put Independence in the position of effectively "funding a rival," he said. Its other new contracts are designed to function as "collaborative partnerships," Coletta said. Coletta emphasized that Independence did not set the deadline of Friday for the sale of the former Community Health Systems Inc. facilities. Sunday was the effective date of the sale. The price has not been disclosed. When the sale closed, Independence's contracts with Community Health ended, and there was nothing to replace them, though Coletta said he remained hopeful that Independence will be able to work with Tower. In the meantime, Independence is allowing a grace period of at least 30 days, during which it will provide coverage at the new Tower facilities and by the 290 physicians affiliated with them at in-network levels. Independence established a website to help customers find in-network options. Independence customers can also call 888-580-9500 for help, Monday through Friday from 8 a.m. to 6 p.m.
Tower Health did not immediately respond to a request for comment. Separately, UPMC announced Sunday that it will expand its Medicare Advantage business in Southeastern Pennsylvania from Philadelphia, where it started last year, to Bucks, Chester, Delaware, and Montgomery Counties next year.